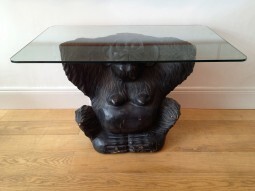 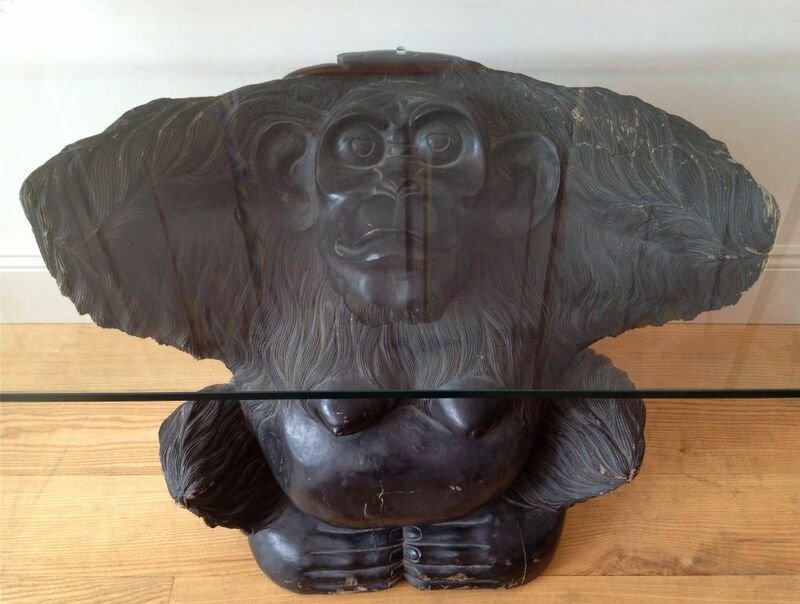 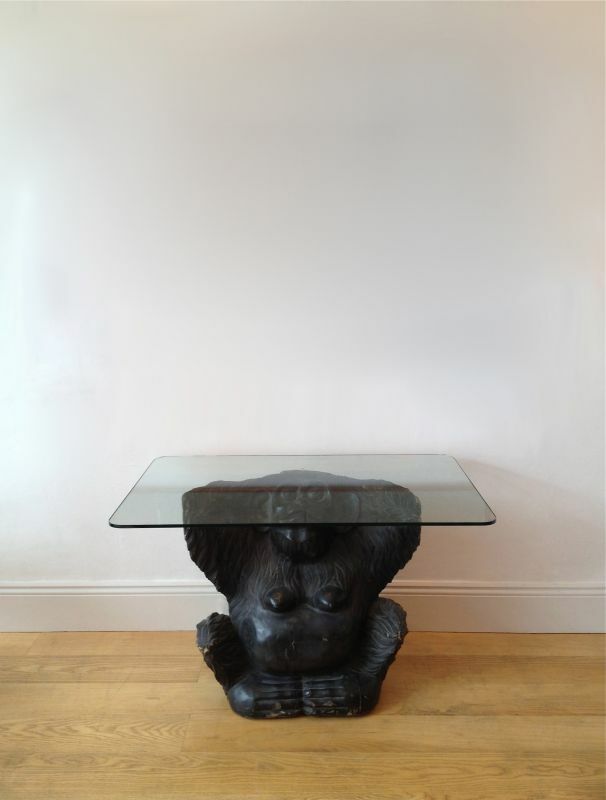 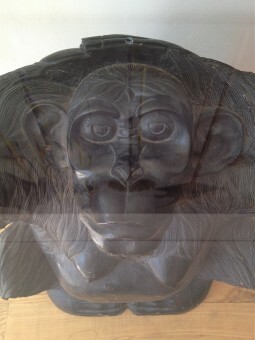 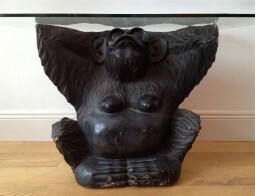 Glass topped console table in the shape of an chimpanzee monkey. 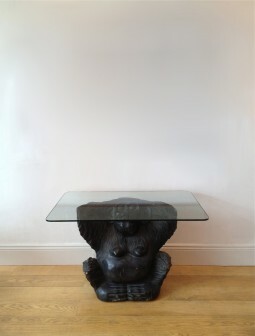 The Table is 106 cm wide, 71 cm deep and 70 cm high. The monkey is 71 cm wide, 38 cm deep and 68.5 cm high.